14/03/2015. 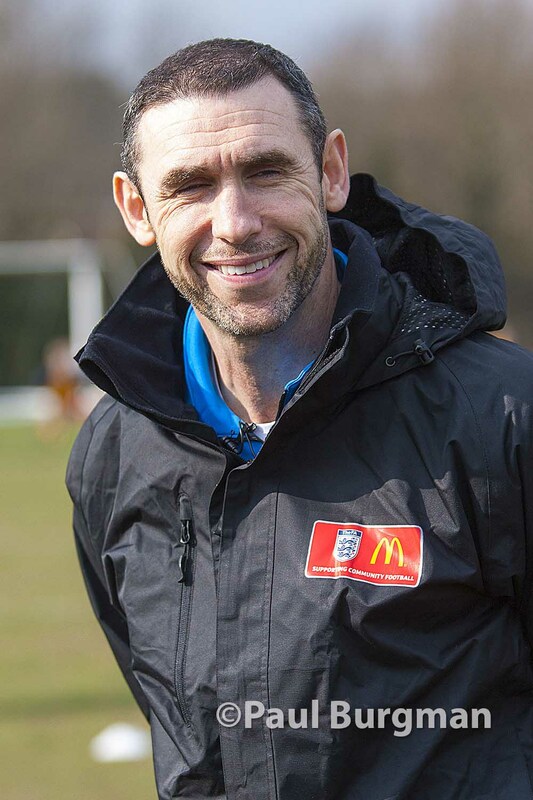 Martin Keown at Curley Park Rangers for McDonalds FA community awards scheme. Before the coverage of the Guildford City FC win at the Spectrum on Saturday I had a PR Job for the McDonald’s FA Community Awards, at Curley Park Rangers’ ground in Bagshot with the Arsenal legend Martin Keown, a member of the mighty Arsenal “Invincibles” squad that went one whole season undefeated, alongside such greats as Thierry Henry, Patrick Viera & Dennis Bergkamp.